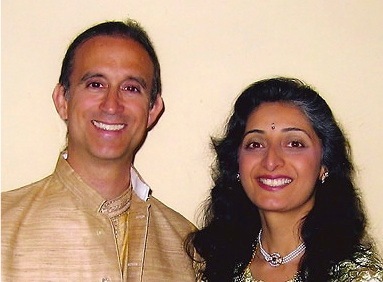 Archana Lal-Tabak, M.D. is an Integrative and Complementary Mind-Body Physician who practices Ayurveda, Vaastu, Homeopathy, and Body-Centered Transpersonal Psychiatry. She completed the Honors Program in Medical Education at Northwestern University in Chicago, Illinois; and did post-graduate training at U.C.L.A., Northwestern University, Oregon Health Sciences University, R.U.S.H., University of Chicago, The National Institute of the Clinical Advancement of Behavioral Medicine, Maharishi Ayurved, Ayushakti Health Services, and The National Center of Homeopathy. She assists her clients to achieve wholeness and health through Wellness Programs, Personal Education, Guided Imagery, Color Therapies, Body-Centered Psychotherapy, Internal and External Family Systems Work and prudent use of conventional and natural Integrative approaches to Healing. Jim has 35 years of promoting health and is a Certified Practitioner of Yuen Method. He combines training in Yoga, Asian Studies, Tai Chi, Meditation, Diet, Fine Art, Ayurveda, Healing Spectrums, and Chinese Energetic Method in his healing practice.His mission is to facilitate the healing process on all levels including physical, emotional, psychological and spiritual. He sees clients privately, teaches classes, facilitates workshops, and offers lectures and demonstrations in Yuen Method, Healing Spectrums, Ayurveda, and Yoga. Together, they are cofounders of Heart of Transformation Wellness Institute and conduct body-mind wellness workshops nationally in addition to maintaining private healing practices in the Chicago area.